You know you've found your dream jeans when you want to wear them every freaking day! 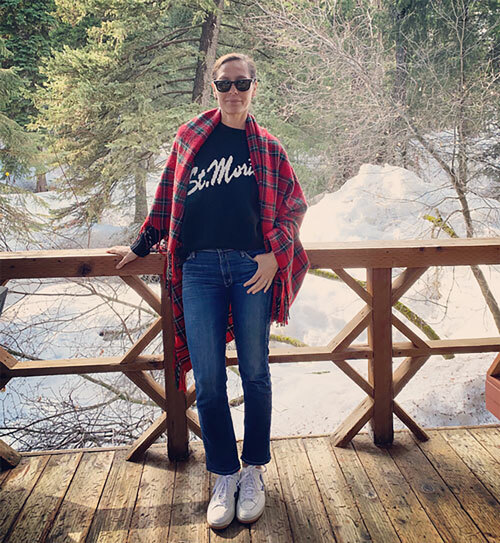 These straight-leg, mid-rise Mother jeans are everything: super flattering (a friend told me they make my legs look 4K long, thank you very much), super comfortable (read first sentence again) and super versatile (sneaks to sandals to stilettos). They pretty much made my spring break, spent in Sundance, Utah, above. And what sweetened my LA homecoming were these summer-ready, boxed-and-shipped treats from Rebecca Taylor (on sale! ), Red Carter, Alex Mill, Shein, and Suboo.